Following the success of Wild West: Explore Shoot Trade just a few months back, which made it to Top 100 Charts in more than 10 countries, PeakX Games recently launched another game potentially bent to follow in the footsteps of its first title. Merge Food is a casual tap and click merge game that can be enjoyed by players of all sorts ages. 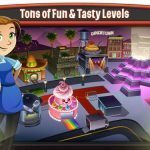 Earning over 100,000 downloads within its first month on the Google Play Store, Merge Food has earned fans and largely positive reviews as fast as every new player gets hooked on the game. There are no special skills or masteries required to enjoy this simple food-matching, menu-expanding game. If you are looking for an exciting and appetizing way to spend your free time, then be sure to check this game out. It’s all about what the title says as Merge Food sets you up as a restaurant owner who discovers new dishes by merging food. Bread, which represents the most basic ingredient in the game, is your level 1 food. Combining 2 pieces of bread results into a level 2 food item which is fried eggs and the idea is merge food one after another to unlock higher level food items that earn you more money. Every bit of food on the table, including bread and eggs, must be dragged to the serving counter so the waiters can continuously serve it to customers. Though you have an easy job of basically buying food ingredients and merge food to earn more, there are chefs to be hired to help you out. Merge Food is basically an easy game that you can play at short intervals. The tutorial ends right after you drag the first few sets of food on the table and it pretty much gives you all you need to know to play the game. As the game is pretty simple, there are hardly any tips or strategies needed as you are guaranteed to win and progress no matter what you do. 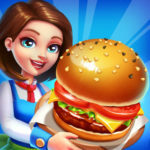 However, if you want to progress really fast and earn a reputable spot in the tournaments, then our Merge Food tips, cheats and strategies will surely help you boost your restaurant’s growth a lot faster. As simple as it may seem, merging food items continuously may make you forget about the income-generating aspect of the game to ensure the steady growth and progress of your account. To go farther more efficiently, make it a habit to drag food items at the serving counter on the left side of the table once you are done with doable combinations. Be sure to remember to do so especially when you merge an item being rolled out with a similar one as it will cease to be served to the customers. To be sure that you won’t be confused with the food being served as against idle ones, make sure food items are less visible than usual as this indicates that these food items are being served and that you are utilizing the maximum capacity of the serving counter which is 10 items. This bit of multitasking may not come in naturally for first time players of merge games but just after a while, you will be sure to get a good grasp of it and make dragging food items to the serving counter a regular, perhaps even instinctive, part of your basic procedure. Since you will be initially following the tutorial and most probably spending money on the readily accessible food item at the bottom of your screen, it may take a while longer for you to render higher end food items unlock more recipes for your menu. On top of that, purchasing the same food item over and over increases their price, occasionally even to the point where higher level food items will even cost less. To ensure that you can go as fast as you can with regard to higher level food merges and levelling up, remember to always check the menu at the bottom right for the highest level food item you can buy and purchase as many as you can. It will soon come to a point where you won’t be able to afford the best food items in the menu as they will increase in price fast. That would be the time to purchase the next best food item. Spam on it as much as your table can hold before proceeding to merge all similar food items on the table. After some time, you may follow this routine as you continue to unlock more and more food items. Although there are initially very limited slots on the table for various food items, progression goes really fast at the early stages of your game and once you have unlocked about 14 or 15 different food items, having several varieties on the table may become a little too confusing and you may even take a while to spot similar food items, perhaps even miss some in the process. Just to have a little more systematic approach to your food merging method, try and arrange the food items with the highest food item on the bottom rightmost food slot on the table. There probably won’t be enough slots to cater to each food level you can have but as it is highly improbable as well to have one of each food item on the table all at the same time, you can be sure that following this method will always leave you plenty of space to work with. In some instances, you will have some food items on your table that are most likely left out in the sense that you won’t be getting any similar ones anymore given your level. For instance, you may notice a single bread item, the level 1 food item, on the table but the next food item and the least you could get will be an omelette, which is a level 1 item. In such cases, you may want to dispose of the food item by dragging it to the trash bin as it will be tedious to buy several copies of it to merge several times just so you can get rid of it. If the level gap between the leftover food item and the other food items is close though, you can make a quick buy of that item’s copy from the menu to eventually merge it with another one. Gems in Merge Food is easy to earn on the initial stages of the game but as your progress grows slower, it will become a little more difficult to collect and save. As purchasing higher level food items from the menu and spending some gems on speed ups may seem tempting if you want to speed up your progress, it will also make it difficult for you to earn more gems for the boosts that will greatly help you on a more permanent basis. As far as practicable don’t spend your gems on any temporary effects and instead save them up for hiring chefs that give you permanent boosts. Just to give you an idea, Oliver, the first free chef you can get grants you an additional 30% chance to get a silver plate while playing and also doubles your earnings. Feiri, whom you can hire for a mere 30 gems boosts offline rewards by 20% and multiplies earnings by 5 times. While the next chef to get requires 300 gems to hire and may take quite a while, exercise patience and save all your hard-earned gems for him and the next ones. Video Ads have long since been a part of many free-to-play mobile games. Although there are still a few people who get bothered by the fact such advertisements exist, it should be understood that ads are necessary to keep the game available for absolutely free. While there may be games where ads can be a bit more intrusive and pops up indiscriminately, the video ads in Merge Food can be viewed out entirely of your own choice and while a 5 to 30-second video ad may seem long and boring to watch, it actually speeds up your game a lot faster than that and can boost your progress much faster than when you opt out of it. Besides, you can always just look away while playing some ads to rest your eyes and merging finger. 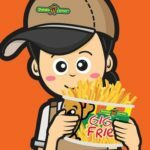 One of the most common yet important opportunity to grab is the getting the most expensive food item from the menu for free by watching an ad. This is most especially true whn you are low on cash and running low on food items to merge. Occasionally, you can also get a free food item upgrade from the menu following the same method. Free golden plates and earning multipliers frequently appear on your working table as mail icons that you need to click on. These opportunities are difficult to pass up on but you are always free to ignore this if you feel that it interrupts your game. The truth is you can progress way faster in the game by watching (or playing ads as regularly as you merge food items. It may make your game a little less fun but if you are really up for reaching higher levels and higher earnings on tournaments fast, it’s the best way to go. After unlocking certain food items in the game, you can unlock different stages in the Gourmet Trip, which is like a different game mode in Merge Food where you need to unlock all available food items in a location within a certain period of time. The challenge is not that difficult but requires time to accomplish. Achieving the objectives reward you with a free chef and some gems and you can replay the stage again once a day for some more gems. As this requires a bit of straight playing and a little faster food merging, be sure to take on these challenges when you can spare at least the amount of time required to finish the challenge. Don’t be overwhelmed by the time limit as it leaves plenty of extra time if you are playing continuously. Lastly, be sure to visit the unlocked dishes menu to claim some gems for every new food item you have unlocked on your first go. Be sure to check the wheel of fortune icon on the right side of your screen for free spins. You have 3 free spins per day and you can get plenty of good rewards including gems from each spin. There’s a cooldown period after every spin though, so be sure to check it every after 8 hours if you can. Every new dish you unlock as well as some levels you reach rewards you with gems. You can check what you have earned from the lower left icon on your screen. Once you see an exclamation mark on it, it could only mean that there are unclaimed rewards for you to grab. It’s always better to nab those free gems sooner than later most especially if you are close to having enough gems to hire a new chef. Well, this ends our guide for Merge Food. We hope you were able to enjoy reading it and that you found our simple tips and strategies helpful in progressing your game faster and perhaps even making your mark on the tournaments. 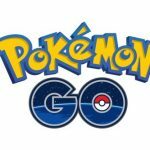 Most especially if you’re new to these types of casual games, taking note of the information we shared with you here guarantees a boost in how efficiently you manage your time spent on the game. There is no need to push yourself that hard with offline income generation as a regular part of the game but when you do spend time on it, try to remember what you have read in our Merge Food guide. If there are some stuff we missed that you feel should form part of this guide, don’t hesitate to let us know in the comment area!